Sanaz Golestani began practicing Family Law shortly after she finished articling at a prominent downtown Toronto law firm. She obtained her Honours Bachelor of Arts (Hons. B.A.) from York University, before attending law school at the University of Ottawa where she obtained her Juris Doctor (J.D.) as well as a specialized option in Dispute Resolution & Professionalism. During law school, Sanaz was active in the University of Ottawa’s student legal aid clinic, where she volunteered as a case-worker in the Family Law division. She carried on to study international Family Law by attending Gonzaga University in Florence, Italy. Sanaz is currently an LL.M candidate at Osgoode Hall Law School specializing in the area of Family Law. 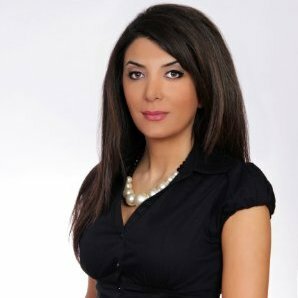 Sanaz became a member of Jamal Family Law in July 2015 and she has practiced exclusively in the area of Family Law since she was called to the Ontario bar in 2013. Sanaz’s practice encompasses all aspects of Family Law such as property division, support, custody and access. Sanaz sees her skills as a negotiator of equal importance to her skill as a litigator and strives to effectively advocate on behalf of her clients. Sanaz is fluent in Farsi and is actively involved in the community by working hand in hand with women’s shelters by providing legal advice to women who are in abusive relationships. Sanaz is a member of the Iranian Legal Professionals of Ontario, the Canadian Ontario Bar Association, the Family Law Association and the Law Society of Upper Canada.